Hi everyone, so today’s post is all about TOXINS. This is something we are all exposed to and have in our bodies. You may even have these in your liver if you love a cheeky beverage or two after a hard days work! We become toxic from the food we eat, the air we breathe and maybe even some medication we take. The body has the ability to detox to a certain extent but every now and then we all need a little helping hand. There are many ways in which your body responds to toxins. You may find you feel sluggish, with un-explained fatigue, experience bloating and constipation, have allergies, suffer from menstrual problems or even mental confusion. Cigarette smoke, household cleaners, dry cleaned clothes, new carpets, beauty products, and even car fumes can all add to our level of toxin exposure. Here are some ideas of ways you can make a change to you and your environment and help create a happy, healthy and toxic free body. Lemon Water – I am always drinking a mug of hot water with a generous squeeze of lemon in it. This is a natural and effective way to cleanse your liver. By drinking this you will increase your Vitamin C intake, which in turn will help stave off those nasty germs which are lurking this time of year. I find lemon water can really help ease symptoms of nausea, and helps keep bowel movements more regular too! I know no one likes toilet talk, but it’s a fact we have all got to go at some point! Lemons are very acidic so long term use may mean this can effect tooth enamel, so prevent this by sipping through a straw and rinsing your mouth before brushing your teeth. Try starting your day with a fresh lemon brew, and see how this can help your mind and body. Helpful hack! Buy a bag of lemons and squeeze them all at once. 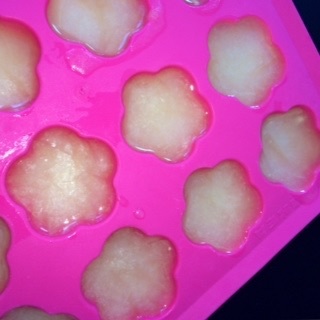 Pour them into an ice-cube tray and freeze. These are then ready to go as and when you need them. Epsom Salts – Having a detox bath is really easy and an excellent detoxifier for the body. It will also help to keep skin smooth and looking radiant. 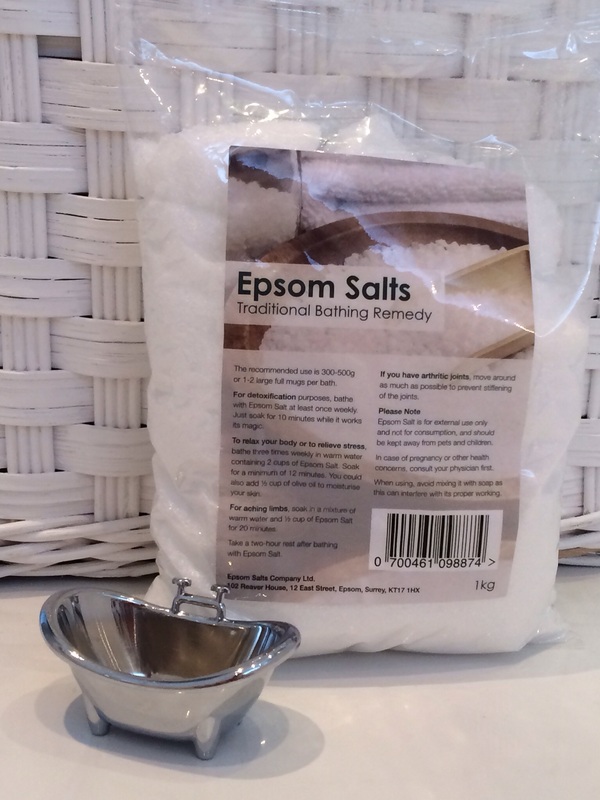 Epsom Salts are a great and inexpensive way of making a difference. These salts are rich in Magnesium which will help the lymphatic system to detox, help to reduce inflammation and will aid the bodies muscle and nerve functions. For general use, run a bath as usual and add approximately 100-200 grams of salts. Relax and soak for around 20 minutes. Ensure your bath is not too hot and be careful not to stand up too quickly after laying down in the heat. I have seen stars from rushing out the tub too fast and given myself a beautiful bruised bottom! Um no, sorry pictures of this are not to follow! In addition to the salts if you wanted to take this a step further you could add 1-2 cups of baking soda from your pantry and tip this into the bath. This is a deep cleanser for the body and will help neutralise the chemicals in our water if it is not filtered. Baking soda has anti fungal properties and will help increase the mineral absorption. Chlorella – This plant based superfood is known for its significant antioxidant properties as well as its natural source of Vitamin B. It is a powerful and potent supplement that comes from a fresh water algae plant. Studies have shown health benefits from this nutritionally dense source to the entire body. We all try and eat our leafy greens but sometimes it is difficult to eat enough to make a difference. There are now also many health studies showing that even in the recommended daily allowance of fruits and vegetables, we are still not receiving the amount of healthy nutrients that we need. Chlorella can help to regulate hormones, detox heavy metals and toxins, and support the immune system. It also contains a high nutritional content of Iron and Zinc. Chlorella can be taken any time of the day but is best taken in small doses throughout your day to allow your body to use this most affectively. Glutathione – This is something that is produced naturally in our body, and much of this can be found in our liver and kidneys. 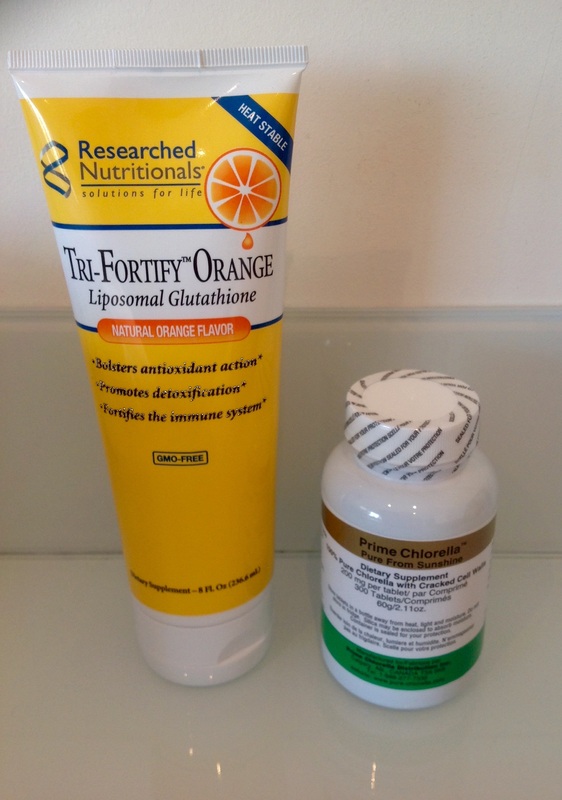 Once our bodies organs are under pressure from toxins, the stored levels of glutathione in our body get to work at ridding the nasties and protecting the cells from future invasion. Extra Glutathione can be taken daily/weekly to support the body in liquid and capsule form. For someone who is chronically ill, you may have experience with this in a more potent form either through a nebulizer or intravenously. For those who are fit and healthy this is unlikely to be needed so don’t panic! If you think you need extra detoxification or extra immune support your local health/drug store on the high street will stock a suitable supplement. Another alternative supplement is Milk thistle. As well as the above products, there are also many other really simple and effective ways to assist your body in being the best it can be. Remember, you only have one body…take care of it, it’s the only place you have to live in. 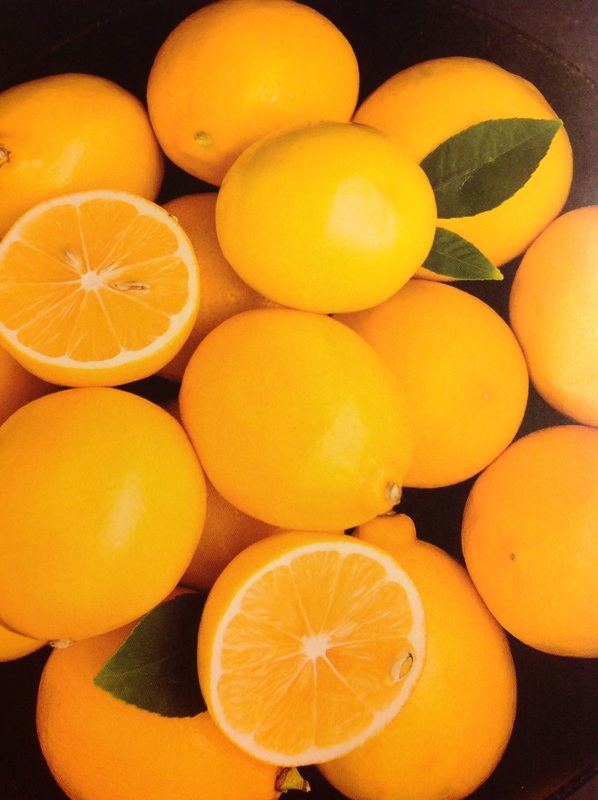 Take Vitamin C, this helps with your bodies natural production of Glutathione. Reduce or eliminate your intake of refined sugars and saturated fats. Replace olive oil with Coconut Oil. Try to drink 1-2 cups of green tea daily. Take a sauna and sweat out the unwanted waste. Minimise the use of chemical based household cleaners and beauty products. Get enough sleep. We all benefit from a good snooze, it allows the body to heal. Increase your exercise. Walk the dog, practice yoga, run around the garden with the kids or dance around the kitchen! As long as your moving it is all going to help. Thanks so much for reading. Keep smiling and remember to always try to do that little extra to stay healthy and live longer. Disclaimer: Please note I am not a Doctor and if you are pregnant or suffer from a medical condition it is always best to seek advice from a GP or other health professional. Previous Post Motivational Monday… Smile and the world smiles with you.